The little candy corn with purple chevron background and embedded text area are about as sweet as sweet can get! 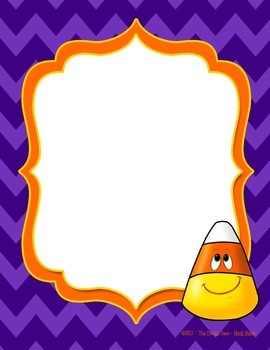 or this candy corn clip art! Check out these Mega Autumn Resources! or cute Thanksgiving and Fall themed coloring sheets! And thank you in advance for taking a moment to rate this product! I appreciate it! Though this item is free, please read my ToUs.